Trying my hand at the DEADMAN challenge! So there it is, given the failure of my attempt at surviving at the skeg and the monotonous late Interloper game, I decided to take the plunge and try my hand at a deadman playthrough. Motherboard is brand new, all systems are go! The waterfall rumbles behind me, this is Hat Creek by early morning. 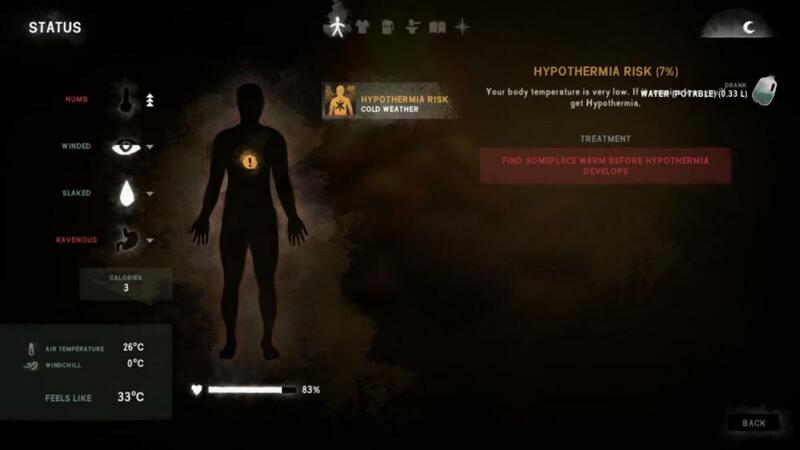 A quick peek at the stats screen show a felt like -23ºC and with dreadful starter gear I'm not willing to travel into, so I dive in to the cave. 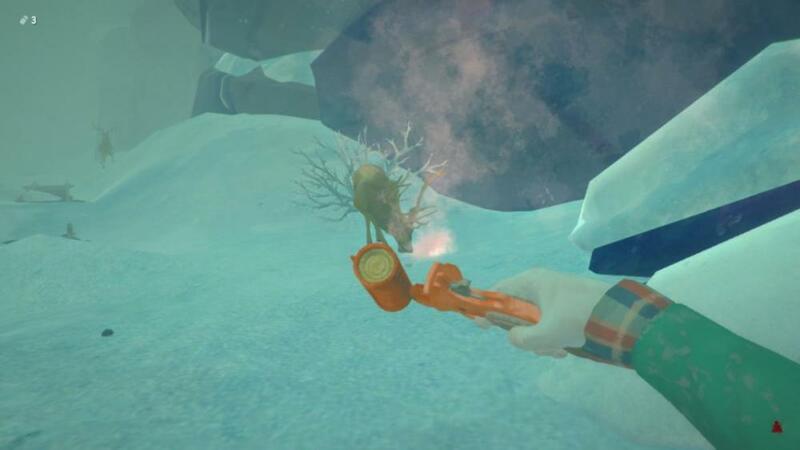 Inside, I gather s ome sticks and a few pieces of coal, there is no carcass here so I make haste to collect the stim and supplies by the outside cave, effort rewarded with a can of peaches and a few more sticks. Temps read a felt like +4ºC inside so I decide to wait at least past noon to make my way to the derailment. The gamble pays off and now the outside felt temperature is an equatorial -12ºC! I make my way down through the boulders and quickly descend the creek grabbing a few cattails and a couple of sticks along the way. Dreams of harvesting cattail banquets and cords of firewood are set aside so I can focus on my goal of reaching the derailment in this light fog, which I do unharmed. Waiting on that cave was a decision between freezing and thirst + fatigue, I choose the latter and it paid off. I arrive at the train wagons with perfect condition. Flare lit and fire started on the first try, my temp bar doesn't die down but I barely have enough sticks for the fire to keep long enough so I can add in coal. I put on the ragged down vest and venture outside to collect any firewood laying outside while I boil water and cook my peaches. Back from the outside, I pass time until the water is ready and hit spacebar to drink in a single motion, the fire goes out and I drink unsafe dirty water! Surprisingly I do not get the associated ill effects and proceed to relight the fire and this time around I manage to put enough sticks and follow up with the coal. Fully warmed up, I pack up and venture outside once more just to be immediately barked at. 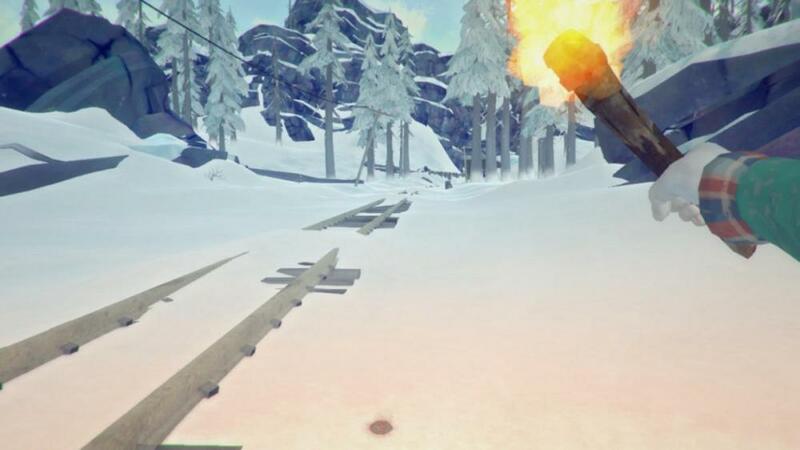 I ran back to the fire and check my supplies to see I have only one stick left, looting the railcars will be impossible with two wolves patrolling outside and my fatigue bar is nearly empty, I probably only have one single dash in my cold legs. A few moments have passed and I run straight outside the train wagons and make a hard left, the doggos are really close and hungry when I light up another fire to scare them off, surprisingly it succeeds again and this deadman here gets his escape. The wolfpack is engaged in pursuit again but my dash for the border has curbed their enthusiasm and my energy, the tunnel beckons. 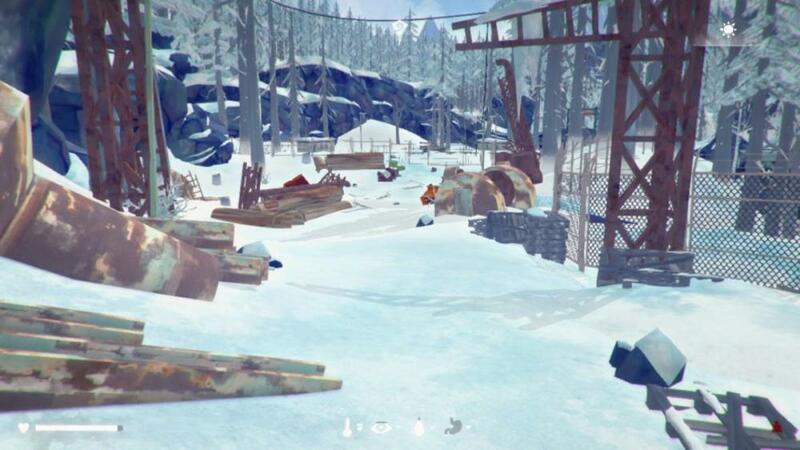 No loot for this cat by the rail cars on the ML side, I make my way to the Camp Office wary of the occasional wolf patrol and make a point of grabbing a few more sticks along the way but there are no predators out on my path. A solitary deer greets me as I open the extension door the Camp office, what a lucky spawn I've been handed. Can't wait to see more! Never made it out from the Skeg myself, and I'm not even speaking deadman here... Never found any ignition actually. It's a tricky region to navigate for sure, but it's also tiny and the climate is really good with half decent equipment. There's guaranteed matches by the spence family homestead, guaranteed flare by the derailment cars and a random spawn chance for matches at the high blind and at the shortwave tower containers. 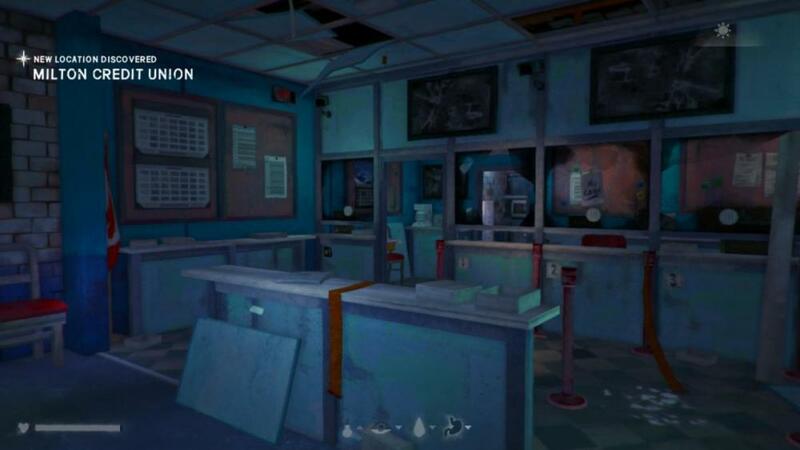 Inside the camp office, I start looting but quickly realize there's no condition recovery, I better take a quick nap to stave off fatigue damage. Slightly rested, I take some books, reclaimed wood, a summit soda and a pack of tea. 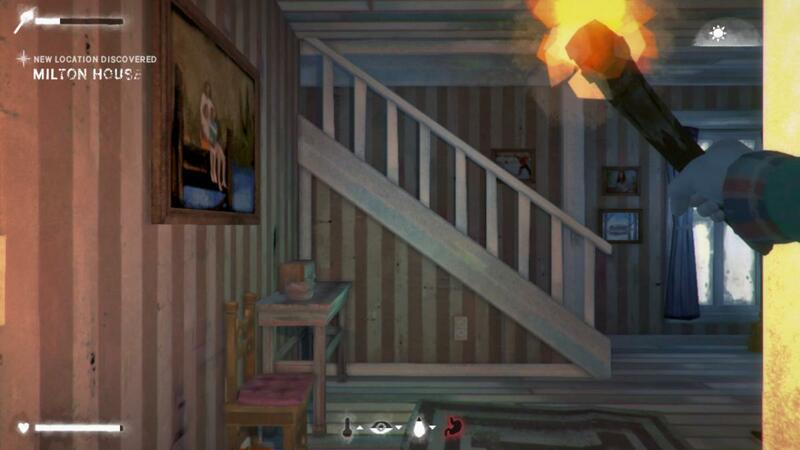 Climbing upstairs, my eyes immediately shift focus to the blue bedroll laying near the desk, I might have a firestriker by the overlook cave which is handy. My current potable water provisions are a bit under a liter, I'm good for tonight. I eat the cattails I have left, drink my celebratory soda and make sure to sleep in 6 hour increments. The sun still hasn't really come up yet as I'm on my feet, I prepare my rose hips, harvest curtains and prepare a few bandages ( which seems like a fool's errand, to be honest ).My calorie reserves are as thin as my water reserves, so I make my way to the lake overlook cave sighting a couple of bunnies on the way. My good buddy here has a spare firestriker he won't be needing, I take it in good faith. 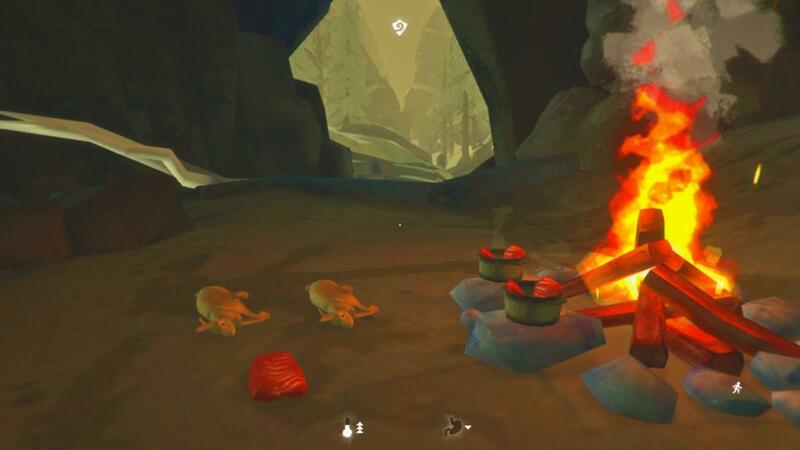 I've got my bedroll now but even laying on it won't keep me warm here for long (felt -13C at the warm portion of the cave), so I start a fire and feed it the sticks I've gathered along the way. Cook up water and step outside to stone those rabbits, which I do one at a time, interspersing some warming breaks with stoning and collecting firewood, Vigilant Flame was the best update ever to this game. Now, allow me for a bit phylosophy in regards to video games, immersion and gameplay design. Since this is the deadman mode and the game will be tuned to eventually kill me, I'll do anything within the rules to make sure I survive, so these bunnies will be used for calories, and power levelling cooking and carcass harvesting. I understand people who don't do or like this, but this is my first deadman attempt, I want to give myself the best chance to succeed. After I'm done, I've got six liters of water, two guts curing, half full stomach and level 2 cooking. My fatigue bar is yet again nearly drained, I sprint way too much and need to adjust from the breezy interloper fatigue rates. 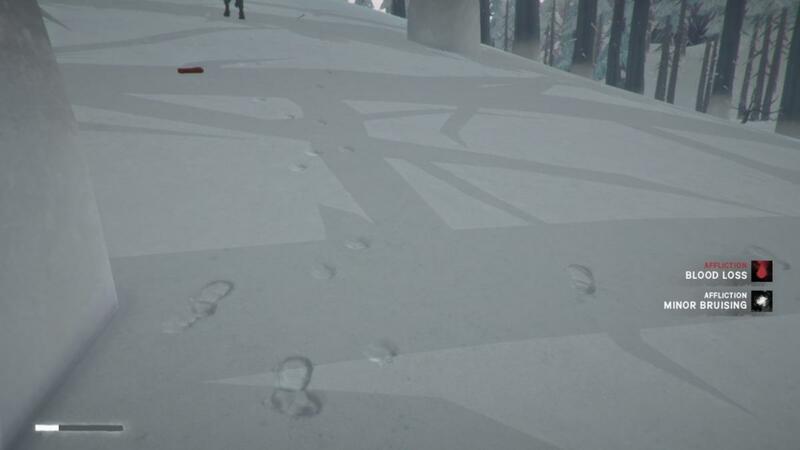 Also, the rabbit detection range is bigger so you'll need some stone sniping chops to get them. 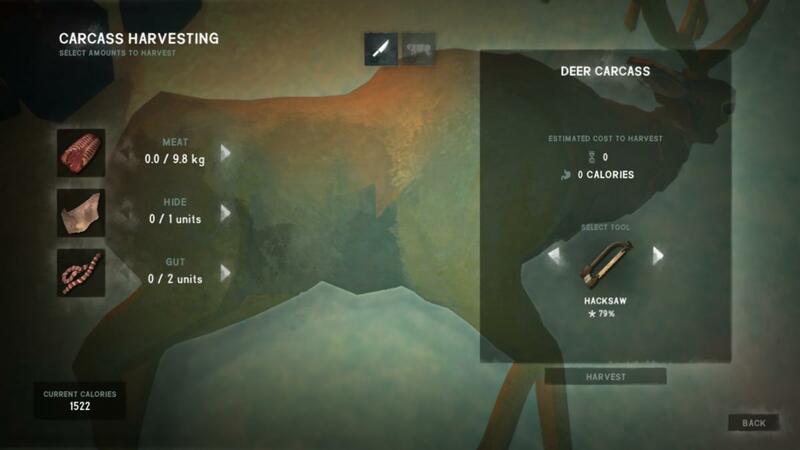 I want to harvest the deer carcass that is outside but the weather isn't really cooperating and I'm not sure how much meat is there for the taking(Hacksaw, best starting tool, don't quote me at that! ), I'm not willing to spend time and firewood to harvest a half kilo carcass, so I make my way down and border the lake grabbing more a few more cattails and sticks to replenish my supplies. I see some antlers peeking over the rail line, so I run over there and try to scare the deer into some wolves but it runs over the hills in the direction of the Forestry lookout, wildlife detection range gets me again and I miss 4 whole days of food. I turn back to the camp office. I'm taking this one day at a time, keeping myself warm and fed, plans of grandiose and heroics can wait for a hypothetical future. My scarce fire supplies for tomorrow as I munch on some cattails, drink to my satisfaction and hit the sheets. 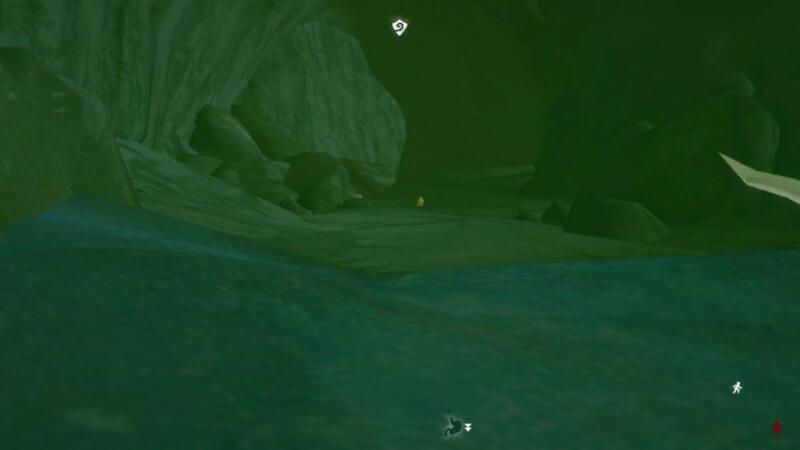 By the time I reach the tunnel, a wolf barks at me coming up the hill I maneuver around pinning myself to the rock wall and having the wolf on the opposite direction from where I'm going, I start the fire just as he was charging, silly wolf. From there, it's sprinting to put some distance between us, no maple saplings are sighted on the way to trappers, but there's a deer carcass waiting me on the old barn. 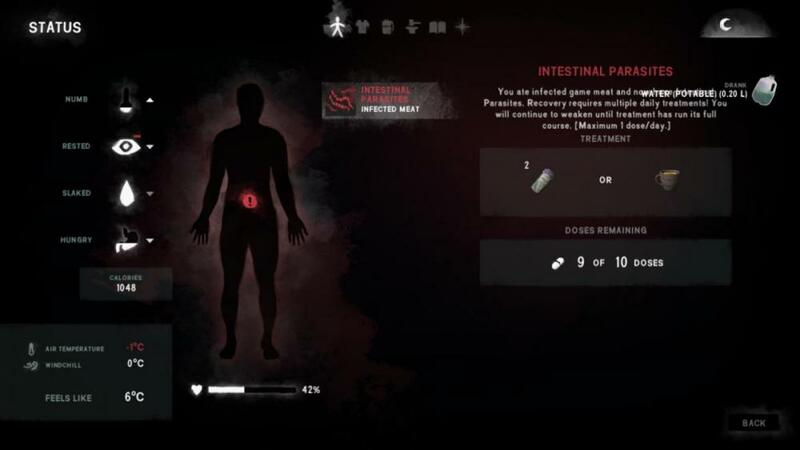 I run inside to grab my hacksaw and do a quick looting of the place(Antiseptic, lantern, sardines, TWO sewing kits, antibiotics, painkillers and cloth, great haul) and then outside to fix me up some supper. I light the fire but I'm not quick enough to avoid freezing as the weather is turning sour, 98% condition until I feed it enough sticks. I harvest 1,6kg of meat and set the steaks to cook, my eyes turn to the sapling bank over the hill, there's only one birch there and the other three are already harvested, Jeremiah is a greedy little man. 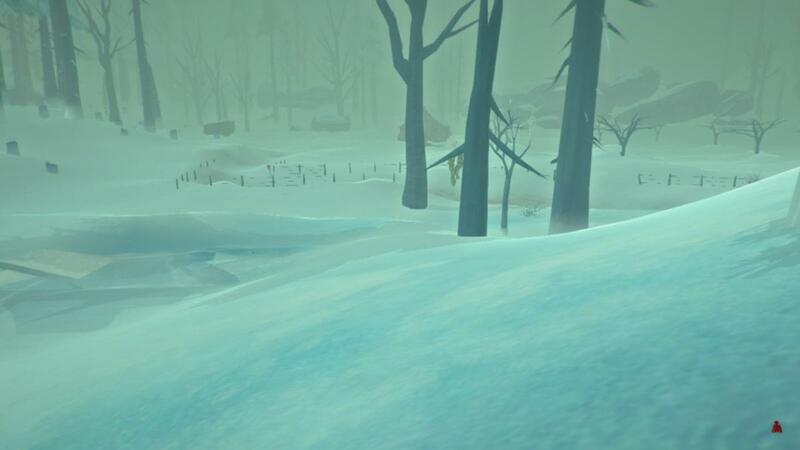 I turn back to tend the fire and harvest a single gut, winds blow out the fire as I'm finished and a windstorm approaches, I grab the steaks and run to the cabin to finish cooking and boiling my water. Dinner of the champions and I've got 2.000+ calories, I go back outside to get a few more sticks and use up my warmth bar, no bunnies to be seen, word might already have made it's way around in the rabbit community here. I don't personally take less than the intended 0.5kg chunks, but I'm not a deadman. And I would never point my finger at something the Code allows (Code is Law) and would be - I think - so easy to fix (Cooking skill proportional to kilograms of cooked meat, a stat that is already in the code). Even less if the person is transparent about it. Ending the third day of a first deadman at nearly 100% is already an achievement in itslef, congrats! Oh yeah, a revamp of the skills is long overdue. 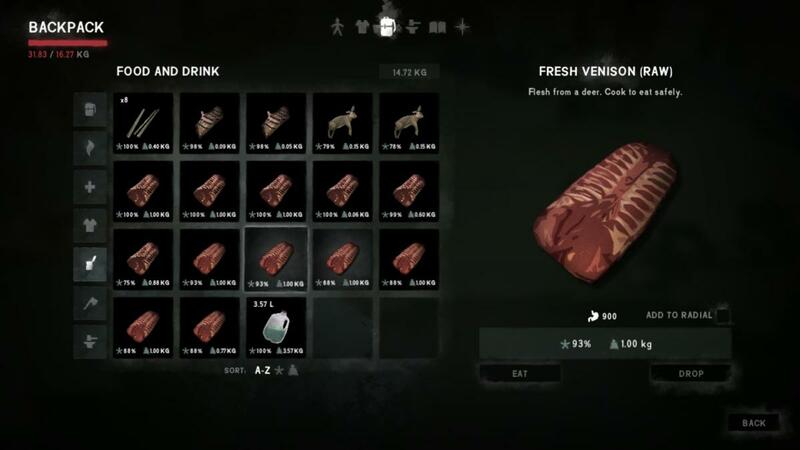 Cooking, carcass harvesting and mending being the worst offenders. The two first are unbalanced and easily exploitable, mending being already great at level 4 and borderline unattainable and not much more useful at level 5. I wish smithing and crafting were also separate skills. I still have a bit of energy left, so run out to the ridge towards the pond looking for the maple sapling that spawns here, no luck this time. I go back harvesting the sole birch, managing my frail temp bar and fix my jeans once I'm inside ( one failed attempt ). Still a bit of energy remains, I set out to explore the transition cave to Milton and acquire valuable resources, namely cattails. There's little of use by the cave, five pieces of coal, a few sticks and exactly five cattails through the creek. My temp bar is running low and my energy is just disappearing, so I walk back to the cave into my slumber. Quick peek outside to a felt like -28ºC, nope, not going out in this weather. I still have 700 odd calories left from the venison I ate yesterday so I set on to read my archery book. I do one hour of reading and one hour of sleeping twice and peek outside again, this time the thermometer reads -19ºC which is agreeable given the circunstances. 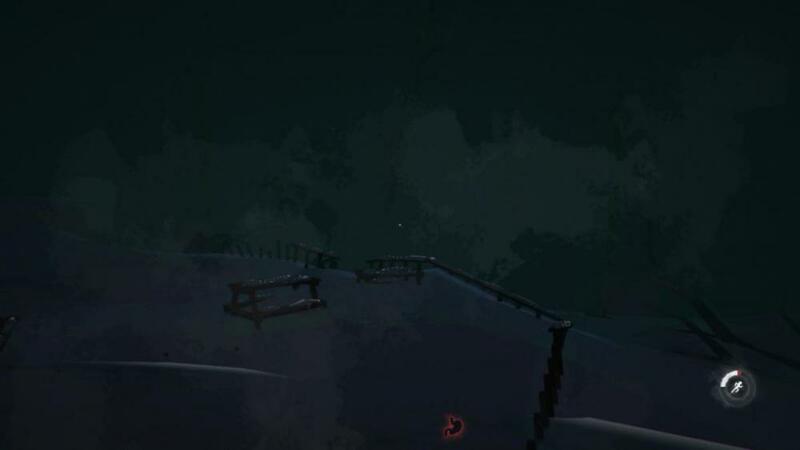 I set out running like a madman towards the rope point, for a moment I consider mountaingoating down but that would cost me time and condition and I'm trying to save both. I get to the rope with the temp bar already well used and go down not checking the position of the wolf that inhabits down there. 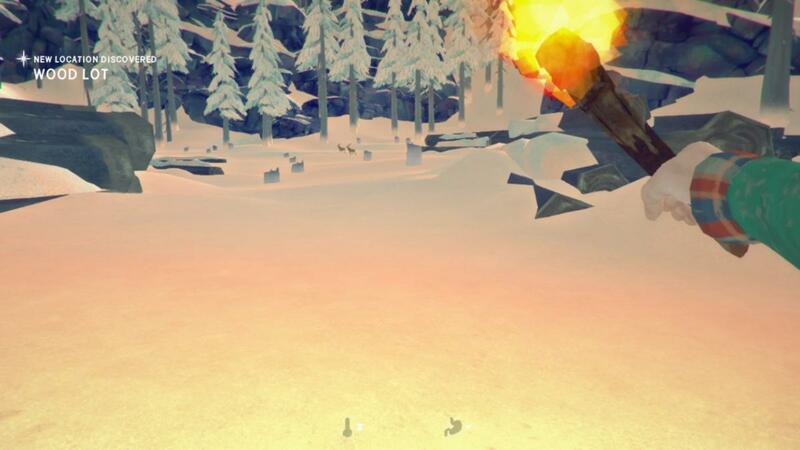 Luck is on my side and there is no barking to greet me, I pass by two rabbits and a corpse sprinting towards the cave, I make it to the back of the cave, felt -5ºC there. Campfire is stoked and good, but I have only 49 calories in me, I drink a rose hip tea leaving only a marginal amount for the healing effect, forgetting about my five cattails from before. From there is the usual stuff, water melting, warming up and going out to loot the body and stone both rabbits, there are NO rosehips on the brushes outside. A candy bar and the guaranteed matches are here, to be brutally honest, the matches are the main reason I came down here, the rabbits are also a plus given my lack of sustenance as of late. 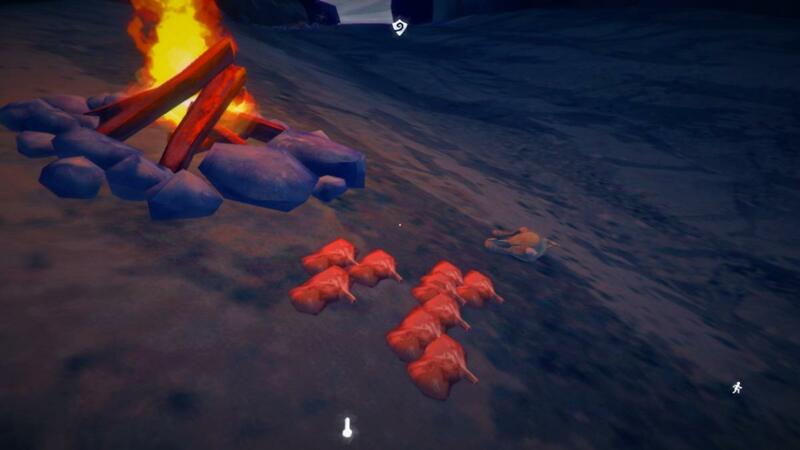 Cave has a ton of coal, so I can sleep here safely and set out to butcher and cook the bunnies, carcass harvesting now is at 2 and cooking is at midpoint to 3. One of the bunnies has 1,5Kg of meat, so I end up over a thousand total for the pair. I make some more water and sleep until I'm nearly out of firewood. It's still the end of the night as I wake up nearly fully rested and with no calories on me ( I forget about my five cattails ), decision point: Up the rope towards the Park Office or back to Trapper's, and then to the Dam? As there is little food on the way back, and I'm already starving I risk going for Milton and skirt the walls waiting to a rope to show through the hazy fog. I pass a rabbit on my way to the rope and make it there safely. It's excruciatingly cold and my temp bar is nearly bottomed out as I reach the Park office, it's a felt -5ºC inside as I light up the lantern and place it down to slow down the freezing process ( +2ºC bonus ) and make fire once again. My firestriker is at a critical 31%, with a breaking threshold of 10% I only have 10 more guaranteed fires from it. Finally realizing I have food I wolf down my five cattails. Fire is fed with the sticks, some coal and the piece of cedar that remains from the cave loot, I have nearly four hours of firetime to sleep and I happily oblige. By morning I loot up the Office to find only the bedroll that is a certain spawn and a ton of stacks of paper. I'd love to wait past noon to move but I'm out of real food and need to move, grab a few good torches and move towards the gas station, felt -12ºC, Milton is warm. 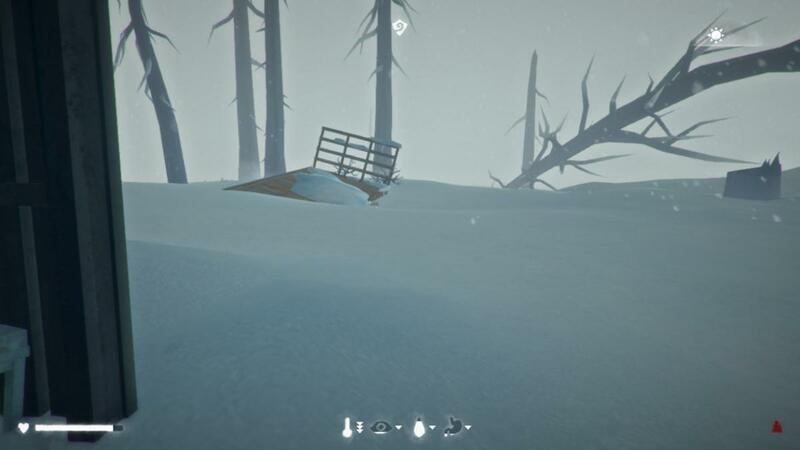 Without a prybar I'm missing on a lot of loot, a quick sprint towards the far chemical toilets on the wood lot and the wolves are coming from the far hills, no prybar has spawned here so I run back to the park office and start another fire just to save a match, warm up in bed and light up another torch, I'm headed for Grey Mother's through the Arch, checking for the maple saplings that spawns near the bus. It's not here. There's deer on the town side of wood lot, so I make my way through the arch and up the boulders to avoid the well patrolled streets of Milton, as I'm making my way down the trail from the tower my temp bar runs out and I sustain 2% more damage as I enter the house by the shed. A quick looting operation hands me a bunch of cloth and nothing else, there is simply no loot! I go back outside as soon the hypothermia risk clears, check the empty shed and make my way safely into the porch, I'm at Grey Mother's living room and out of food. Adventure stops for a moment as this took a lot of time to document. I'll go back to playing this save tomorrow, though I'll try to make the posts shorter. Stay warm out there! Motherboard is brand new, all systems are go! Aurora burning out a motherboard cannot stop a hardened survivor! These spooked me so many times! I think we should. As chairman of the executive commitee for extreme TLD , you sir could put forth a motion to reinforce our personnel. I speedily run to the pantry, nab a can of peaches and smash the can open to eat it, 333 calories to my name and I'm ready to loot. After sweeping the house completely I've got: The aforementioned can of peaches, maglens, extra cooking pot and a cotton scarf. Damn. 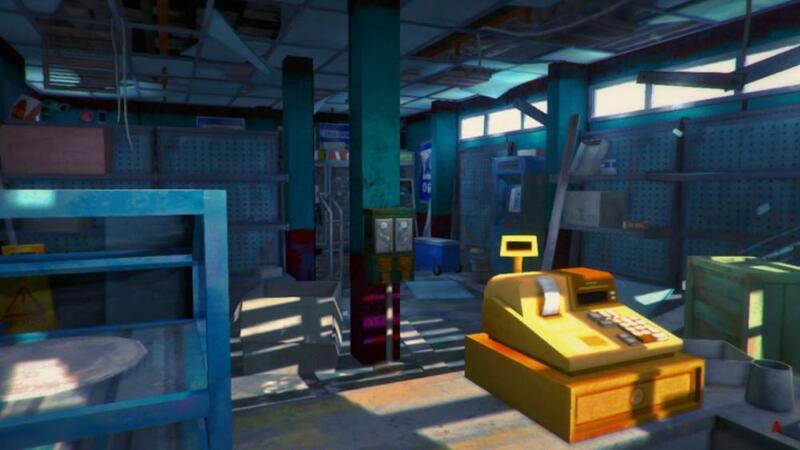 Looting the big house was a risk I took and now I've got no food to my name again. Since wolves were last seen by the wood lot, I figure I still have time to crouch down to the credit union and loot that place. 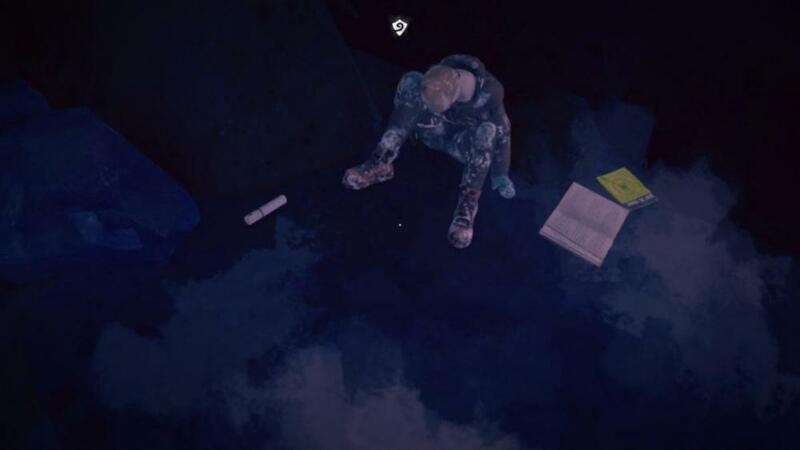 There I find a prybar, granola bar, a coffee mug and a wool scarf + peaches combo by the safe, oddly. From the credit union, I again cross the street crouched and aim for the first house coming up the road from the farmstead, here RNGeezus helps me and I walk away with more peaches and two sodas, major score. By now, I already decided to go down the river, collect cattails and assess the situation from there. If the wolves are around the farmstead I may decide to turn back. I reach the deer carcass and make the turn towards the farmhouse. There are no predators in sight so I stroll down towards the barn looking for the key, as soon as I set foot outside, a wolf comes streaking down the hill, fire, lit, quick. I manage to scare him, but there is still another wolf growling and making my life miserable, it takes me three fires to check the pickup truck and a suicidal rabbit to take attention from the wolves enabling me to get the key by the back of the house, which interestingly has no backdoor. Inside I loot and find a simple parka, running shoes, thin wool sweater, coffee, tomato soup, crackers, pork and beans, peaches and a whetstone. Good enough for me. I fix my clothes a bit more and sort the mess in my inventory(I'm hauling 9 liters of water around, mind you), drink and sleep. 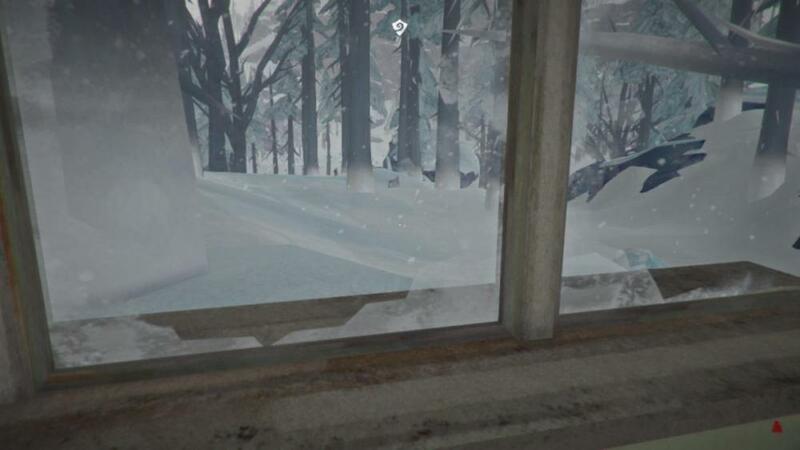 Prybar in hand I can try to loot the convenience store, a quick peek outside and a wolf is by the truck barking at me. I retreat and resort to fixing my parka, harvesting the dress shoes and swapping to my running kicks. Archery book finished, nap taken I look outside once more, weather is full go with a -2ºC felt. Warming and resting nap done, I walk outside looking for wolves, they are to the front of the gas station strolling between the cars and the wood lot in front. I get my torch out and crouch from the back road to the store's backdoor. As I'm forcing the lock I can hear the heavy paws of the wolf making his way to investigate my presence, I make my way in unscathed. Found a plethora of dog food, candy bars, sardines, pork and beans and firewood inside the store, ate the good food and warmed up. Crouched outside to see what's what, no enemies to be seen or most importantly, heard. I make my way to the park office yet again, hopefully for the last time. There were rabbits on the way but with the wolf populace as is around here I have no intention of touching raw food in this vicinity. Weather was announcing a change for the worst, I ran outside and collected 20 more sticks to help extend my fire time here, ended up finding another maple stand near the rope that I forgot was there. Slept in small increments until the felt temp was -7 and then started a fire for 4 hours to sleep the rest of the way. As my firewood was scarce, I warmed up, drank a hot rose hip tea and made my way down the rope to a felt -29ºC! It was cold but I reckon I could've made it without freezing. Could have. The wolf finally finds me down there and states his intentions as I'm halfway to the cave. I light a fire to protect myself and it succeeds, this time screwing me up as it took forever to light up and my temp bar ran out as I was making the second fire by the warm cave, down to 94% condition. From there, it's uneventful stuff: Grabbed mushrooms and cooked them, picked up my two guts, hides and saplings from the cave and went up the rope towards ML. Found a straggler piece of coal by the cave and saw some rabbits by Trapper's as I approached the cabin. Went inside, dropped the smelly stuff, nap to stave off fatigue and back outside to look for bunnies. Managed to stone just one before the winds sped up and convection stripped all my heat away. Went inside and portioned him, got to level 3 cooking and decided to celebrate eating the 20% dog food that I left as a last resource. Food. Poisoning. By the time I took the antibiotics and slept, I had lost another condition percent. I kek'd hard at RNGeezuz, and indeed, the dice are with you more often than not. I'd personally would have taken the trip to the basin as it holds one or two bazillion of cattails, but maybe that's something you can do when you return to FM eventually. Very satisfying read, in any case. Keep going! Did not realize that, I also mentioned jumping with joy as I found some pot, but I managed to edit that out. 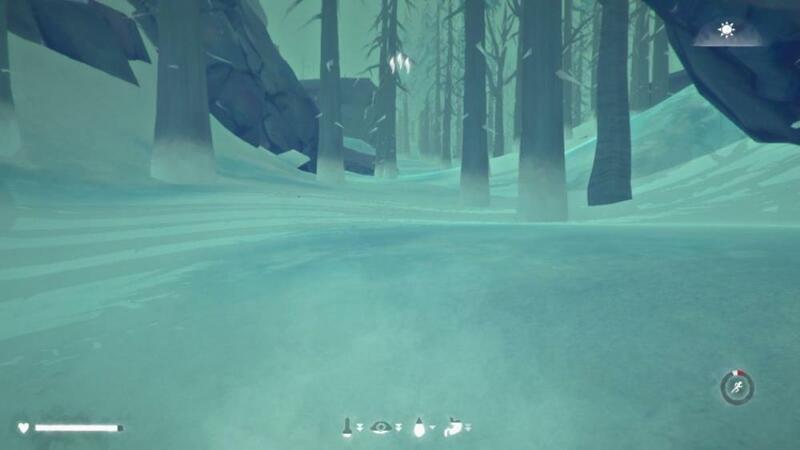 I've got no hammer, so going through the Basin involved dodging both wolves who harassed me on my way in to the farmstead and going back up again to the Dam. 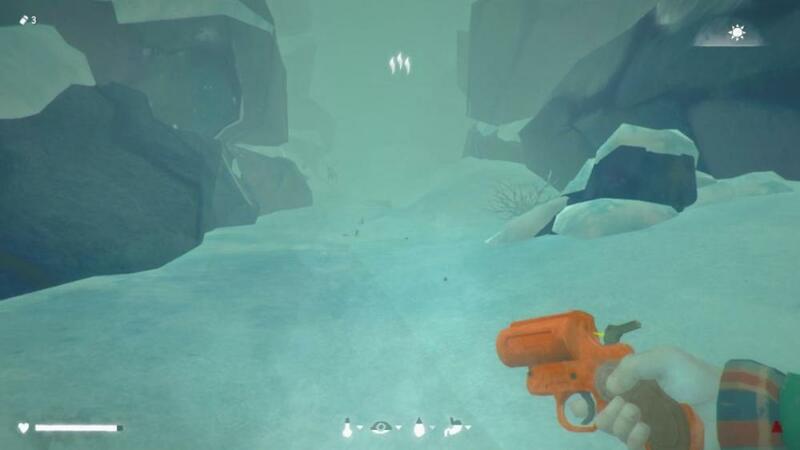 The flare gun will be a crucial asset so the ravine is my next destination, plus, the convenience store was lootable after I've got the prybar. Temptation to go down the basin was there, I just opted out of it as I was pushing away from my goal. I was under the impression that the RNG was being good to me in regards to the climate but it actually isn't. The weather variability being set to Very High makes waiting out blizzards a bearable strategy, as they usually last only a few hours. 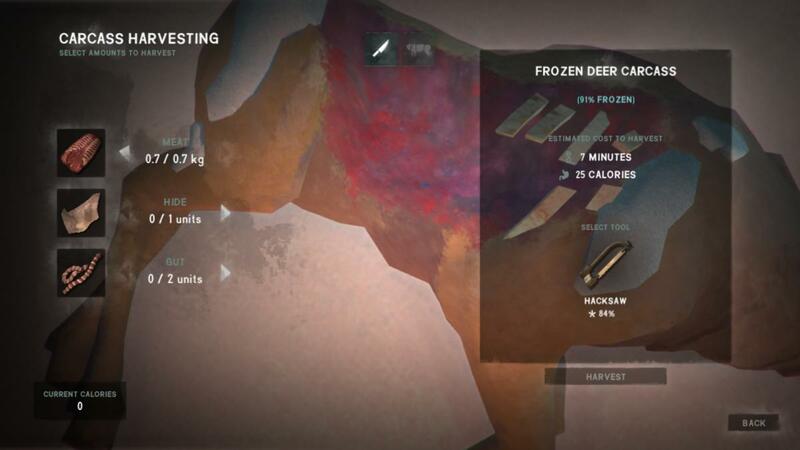 It's honestly easier than early game loper climate, with the added difficulty that you just can't freeze. Now, the wolves. These are a different ballgame, they track me from miles and I'm still getting used to this. 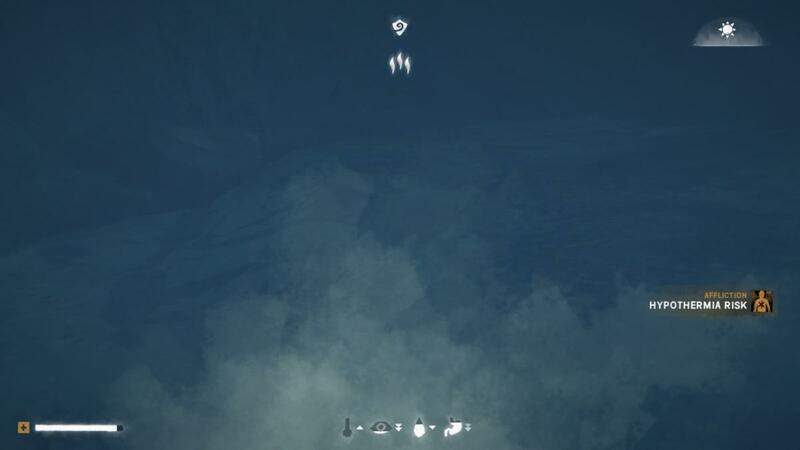 I know my way around the maps but I can assure you a wolf will eventually get me, way too many close encounters for my taste. I was under the impression that the RNG was being good to me in regards to the climate but it actually isn't. The weather variability being set to Very High makes waiting out blizzards a bearable strategy. Quick look outside, too cold. Back inside, three failed repair attempts in a row. Four guts are curing by the metal table, I won't be carrying them anywhere. Right back on the road, weather seems good enough at a felt -8ºC with pristine visibility. I set out towards Max's to take the safe route and as I crest the hill his canine companion starts barking and moving towards me from Max's final resting spot. I turn back around and sprint over the flat rocks near the transition cave, the wolf seems to lose interest as I approach the cabin. I warm myself up again and this time around choose the direct route, running over the hill behind the barn and passing to the right of the deadfall area tree stumps and right back at the footpath towards the Forestry Lookout, there's deer around and I briefly try to scare them away towards the tracks but I yet again fail. 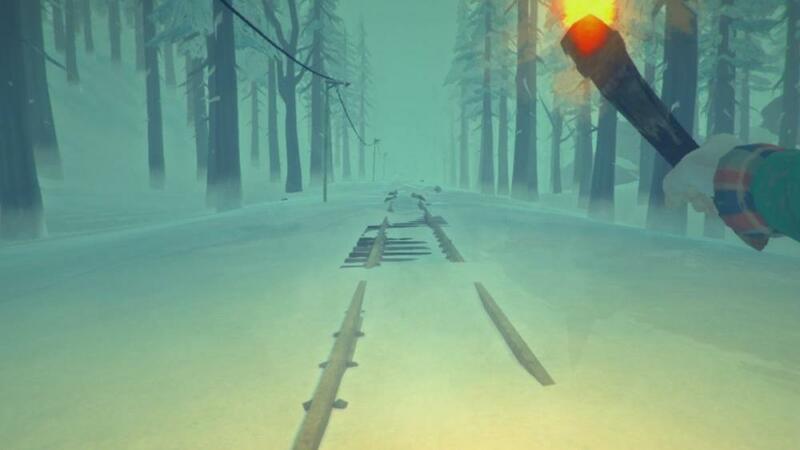 I cross the rail tracks and make to the Camp Office as my warmth bar was nearly fully drained. Time to get organized. I'm almost out o f food and nearly starving but there's still a deer carcass by the overlook I neglected before. 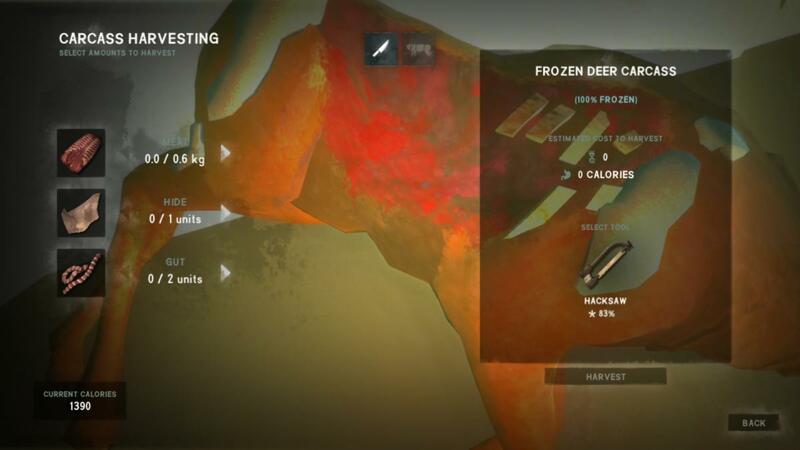 I organize my inventory and set my saplings, pelts and guts curing and run upstairs to warm myself up. 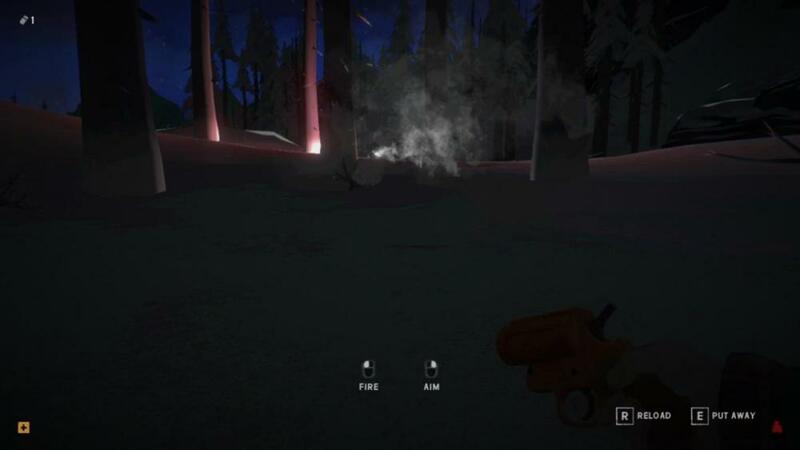 I'm still carrying the extra bedroll around so I put it down by the bed and light up my load harvesting a couple dead torches. Outside, the wind settled but the temperature has not changed much from late morning, fire supplies in hand I set out once again to the overlook. Checking the carcass brings me bad news, only 700g of protein to be harvested. I plan to make fire, harvest everything and cook the venison but the Lords of the wind have a different plan, the venison finishes cooking on the embers as it is too windy to stick feed the flames. I run to the cave and grab the rabbit pelt and guts, then set feet back down towards the building and contemplate my food supplies, which consist mostly of coffee and the venison chunk I got before. I'm in trouble. I consider venturing out further to the lake and grabbing more cattails but the weather has a different strategy in mind. I'm back inside, reading about cooking, fixing my clothes some more, eating my venison and last few cattails then it's off to bed. Fairly improductive day as I ponder if there's enough calories to sustain my patient approach to the weather. Each survived day has been productive ! Breakfast of the champions as I down five mugs of coffee on an empty stomach, plan for today is getting food, eating all of it and then having lunch. Felt -30ºC by early morning, I read some more and then sleep again to save calories and advance the time, back outside the sun is up but the windchill is still bad I retreat once again to do some more reading, sleeping and checking the weather. It's -17ºC felt and I have 85 calories on me, starving for a while is fine, freezing is not so I make a commitment: I'll run full beans to the lake past the first fishing hut, if I find wolves or as soon as my temp bar runs halfway down I'm making my way back even faster. Food or no food. Plan works as I nab three cattails and run back like a lunatic, making it in time with some warmth left. Four hundred and fifty calories, not too shabby for now. I nap two more hours and still have a good reserve left in me. It's already past noon or "travelling time" in layman's terms. Outside, it's sunny and warm. Deer roam the river access to the lake, the first two huts are empty as I walk back out skirting the right side of the lake and picking up any cattails I can get my eyes on, there aren't many. 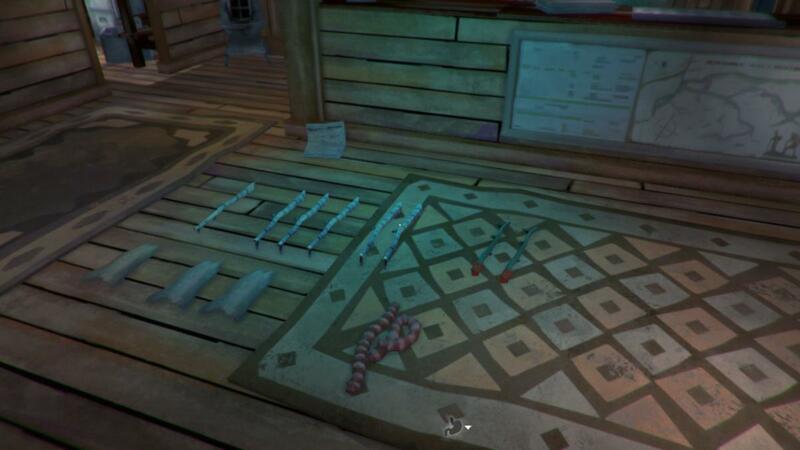 I move to the cabins and loot four, including a never before seen three intact middle cabins. 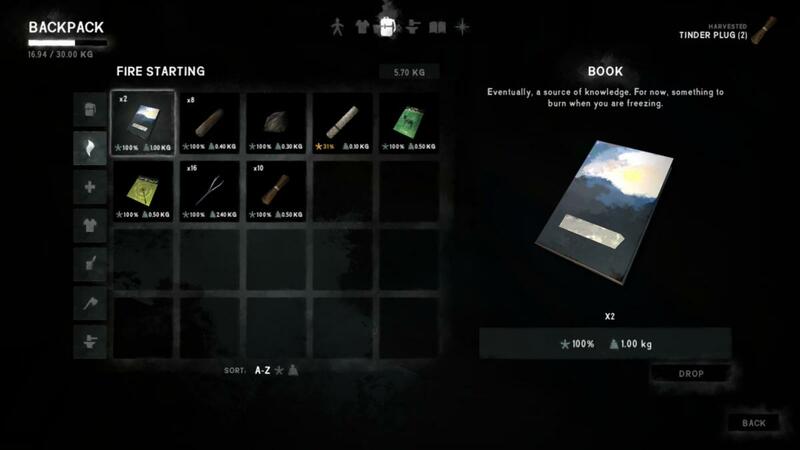 From the cabins, I get one Windbreaker in dire condition and books. There's is simply no food in the containers, I warm up, pick another few cattails and get a fishing book from another hut. 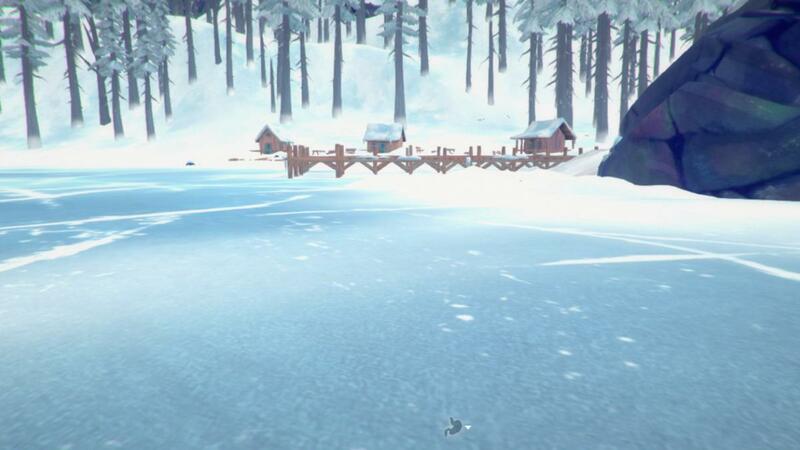 The bear is very close to the lone cabin, that's good to know but bad for me as I have no intention of getting mauled, I retreat to the camp office and prepare my trip to the Dam. Weather is fair, that's good because I've got scraps for firewood. I go back to the overlook, find a sheltered spot to untie the rope and turn on the lantern ( -1ºC felt ). Winds are picking up as I'm making my way towards the dam through the hilltop path and by the time I'm overlooking the derailment, winds coming from that direction rob me of my warmth. This time around I do not wait for the freezing damage to come and light up a fire behind a tree, the wind is coming straight from the derailment. I barely have firewood to keep it above freezing ( felt +0C ? ) but the fire survives until I can put my lone piece of coal in, fire starting rank is two now. I cook up some water and the winds suddenly die down, I'm warm but there's two hours of firetime here so I nap for an hour and pack up harvesting all the sticks back from the fire, felt -4C with a torch in hand. I make my way down towards the river and pick up seven cattails bothered by no wolves. 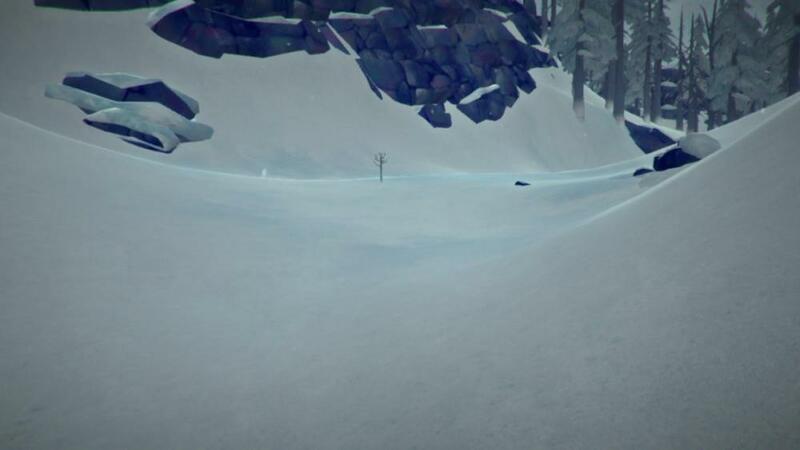 As I finish collecting the sticks and start moving towards the dam, I can see a wolf retreating towards the back of the lodging trailer, no worries as I have fire to deal with him. 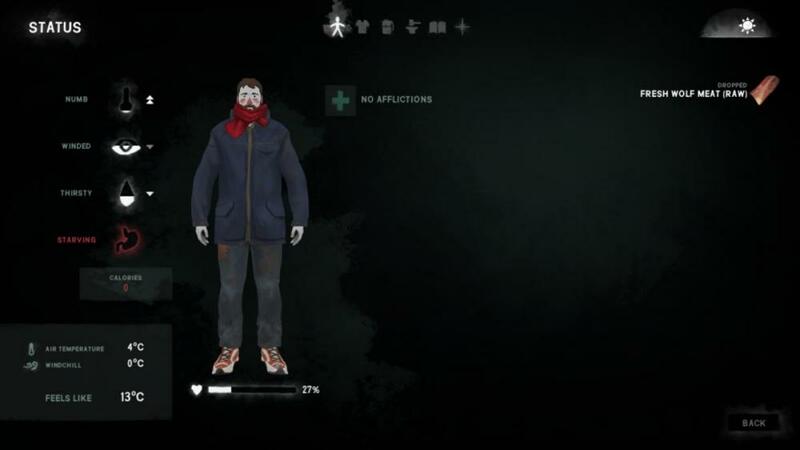 I approach and he turns instantly to face me, I wait for a few seconds until he is close and then light the fire to scare him. Fire suceeds once again, but there's now two wolves to scare. I feed another stick to the fire and wait until they are both having their own panic attacks and then dash to the trailer. Inside the trailer there is a bottle of anti-septic and that's it. 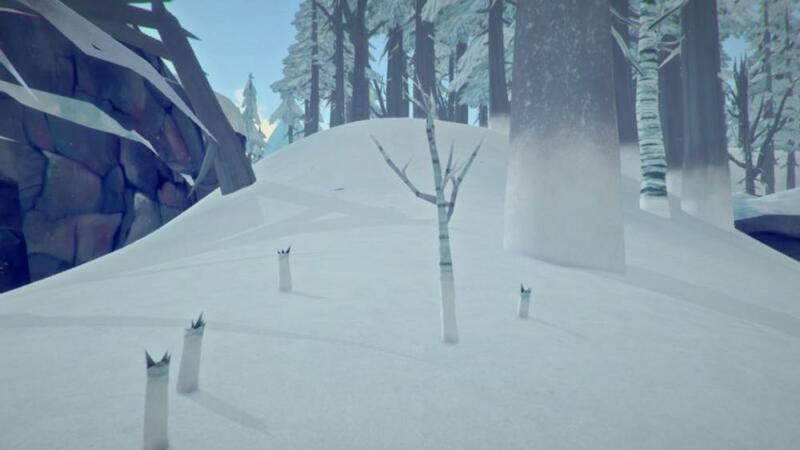 I'm not venturing out with these wolves by my door, I eat six more cattails and get some shuteye, good day as I'm now close to a lot of food and useful tools. I wake up to the vicious soprano of yet another windstorm, crouch outside and there are no wolves to be seen. I check the second trailer and the truck, yet again nothing to reward this weary traveller. SIX buildings now, with little to no loot and zilch edibles. No deer carcass to feed me as I run past the fence gate into the Dam, I was counting on these calories but there is still hopefully a few more left to the other side of the facility. My first food loot in ages. Weather is miserable, I have no urge to check the other side right now. There's time to be diligent and not miss any important stuff. 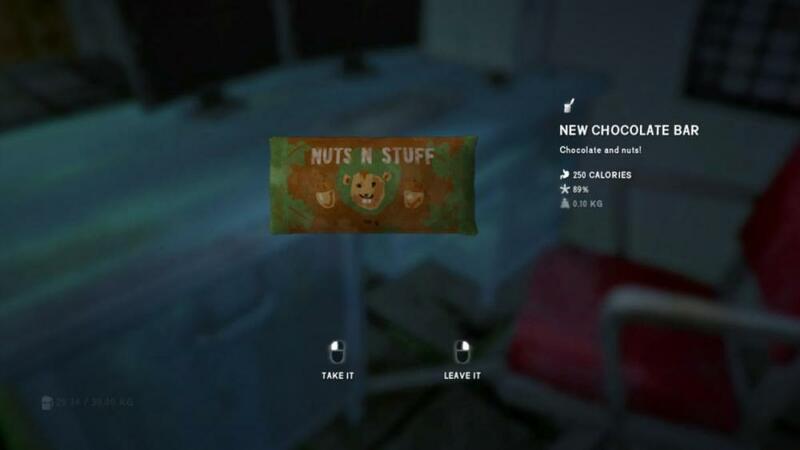 The loot haul to the dam consists of: The chocolate bar, a granola bar, jerky, soda, torch, matches, whetstone, cloth, simple tools, wool scarf, antibiotics and a heavy hammer. Thin fire supplies motivate me to break down a big crate, hammer coming up big and saving time and calories, from here I go through the one way fire escape and start a maglens fire ( a first ) to harvest a deer carcass. I can hear the wolf munching down on a poor bunny up here from my ledge as I harvest and cook the carcass in it's entirety, 1,6kg of meat, guts and a deer hide ( also a first ). By the time I'm finish ed, @BareSkin 's grandma fog is here. I lay my eyes on the water and I can't see security personnel from here, I consider going down there for some rabbit stew and cattails but my heavy legs wouldn't be able to escape from a wolf hauling this much bulk. I retreat to harvest the deer by the other side and pick up scrap metal on the way, this one was downed by a hungry predator as it has little meat in it. Night has fallen and I'm grimacing at each red wire I step on my way to the front of the building, aurora doesn't manifest and I'm safe to sleep with supplies in my bag and a full stomach, small victory for this deadman here. It's really not impressive to be honest, in early loper I'll only travel by dusk so I'm always nearly 100% condition. Deadman just forces me to get more creative with ways of preserving my food ( reading and short sleeps during the day, for example ) so I can get decent travelling weather, suffice to say I do not intend on going to PV. If it's much under -15C feels like you can't get anywhere without a fire, so plan ahead for that. 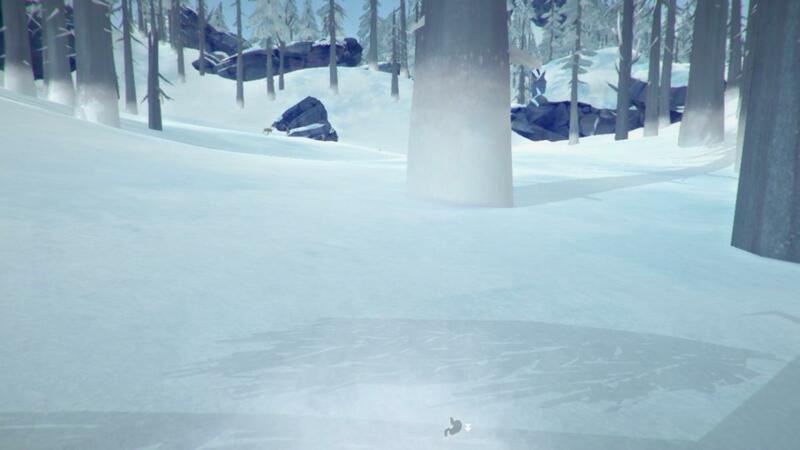 Also, avoid steep terrain so you can quickly plant down a fire to avoid the wolves. Atheenon started playing deadman again, short of Kimiota he is the best TLD player on Twitch/YT to me but man, he prioritizes running around freezing at night over taking a few condition point hits starving for a short while. I understand he has to be entertaining for the audience but it's a bit frustrating to watch. I can be boring with my playthrough, though. Crucially, I've been lucky with my spawn, had I spawned on TWM, PV or FM near the exit to BR or anywhere at nighttime I'd be at 70% percent by now, I reckon. I played some more deadman today and will do a write up on this tomorrow, I'll make the posts shorter as they are a grind to recall everything that happened and write back down, I'm sure they're tiresome to read as well. I'm sure they're tiresome to read as well. Never made it out from the Skeg myself, and I'm not even speaking deadman here... Never found any ignition actually. As said, the flare in the rail car is key. 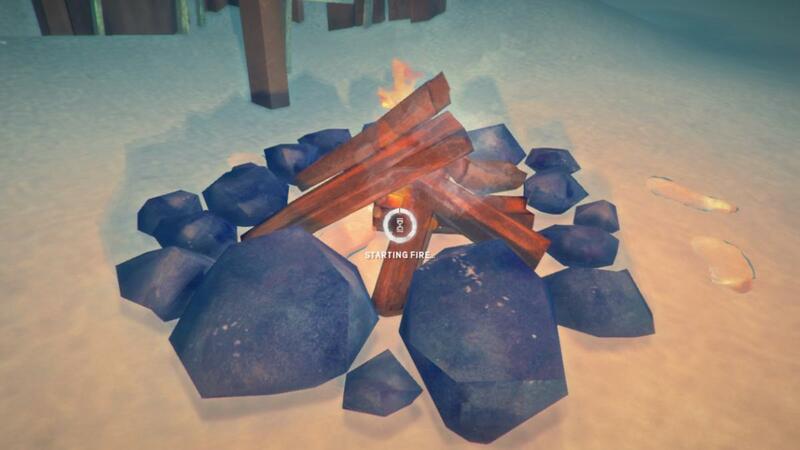 Make a fire at the fire barrel to warm up a bit and then move on. But it's also possible to make it over to Spence's. I only did that once so far because I got relatively mild weather. You can throw all the fuel into the forge and spend the night there. Or maybe just warm up and move on too if it's early enough in the day. Loot can definitely be worth it. 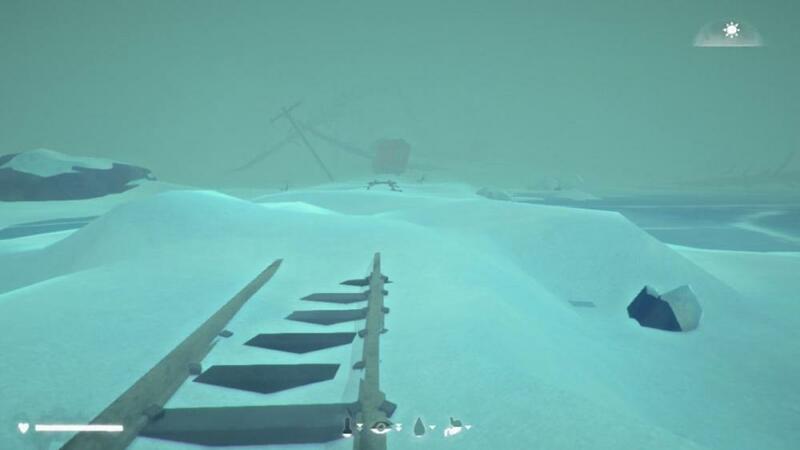 On that one run I got the hacksaw in the high blind. Day starts with organization for my trip down to the ravine, I break down some crates, eat the last of my cattails, stuff the lockers with the the unnecessary tools and bring in as much wood as I can carry. I forget to subtract the rope from my total inventory weight and leave with 29 odd kilos, still early morning and I'm reading a cookbook to pass time until the weather allows me the short hop to the ravine. It's early afternoon when it finally clears enough, days are starting to get colder. 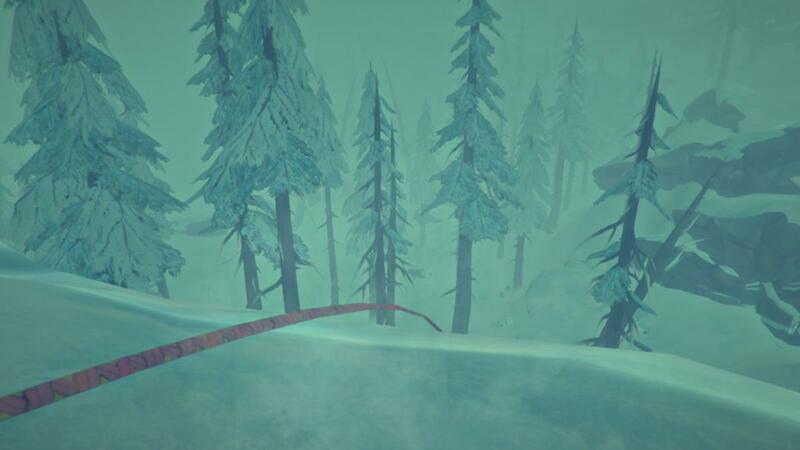 I climb up the boulders and take a look at the trailers, a lone wolf is strolling towards the river so I make my way down to the ravine in safety. Weather improves to a felt -4C as I harvest another birch sapling and deploy the rope. I still have most of my warmth bar, so I stone a rabbit and gamble on taking meat from the carcass near the rope point, 1.5KG score, warmth bar is still decent, I make my way down the rope. In the Ravine Basin I get my flare gun with 4 shells, a few cattails, some reishi and three rose hip bushes, a visitor awaits me by the cave. I make my fire near the entrance to gain that sweet duration bonus, and drop a piece of coal, sticks and a lot of the reclaimed I brought here. I harvest the deer outside and cook the venison pieces as big chunks, partition the rabbits for training, make water and go to sleep. Morning is switching between high winds and light snowfall. I wait while making water until close to noon to go up the rope on a full stomach, spare steaks to boot. 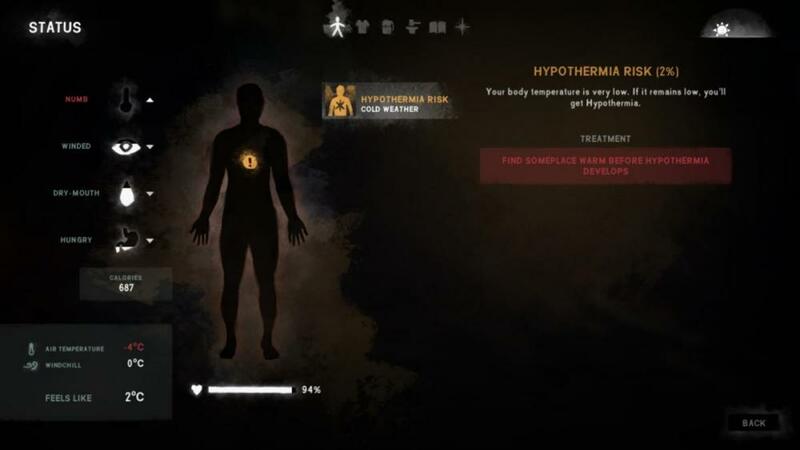 I beeline for the cave while carrying all my newly acquired resources but I do not make it in time and start freezing for a split second, my condition ticks down another percent point, probably just the shown number being rounded down. I did starve and get fatigue damage briefly multiple times in this run. The gameplay described until now was recorded in two big playing sessions, from now the reports will be fresher since I did one just now. 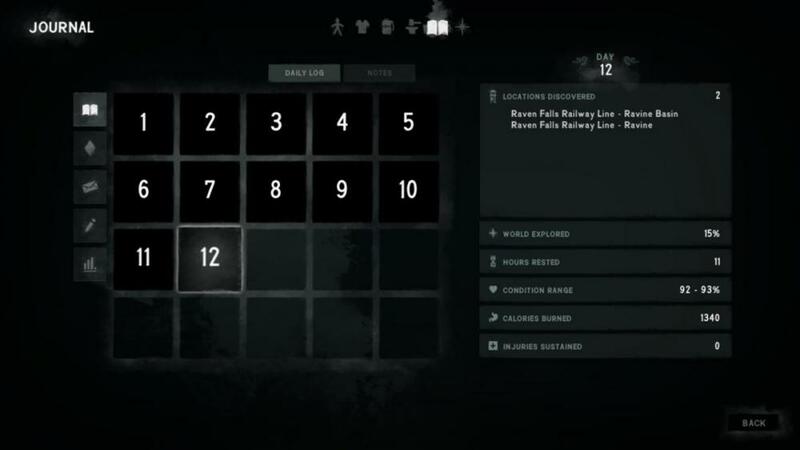 One thing to clear up is: I have no idea on what day I am, I thought this was still day 9, game says I survived 11 already? 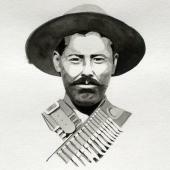 I pick up my spoils from the successful trip down the ravine, equip the flare gun and away I go through the fog. I can hear hooves pattering down on stone but I don't think I have time ( food ) to engage in a deer hunt, or do I? 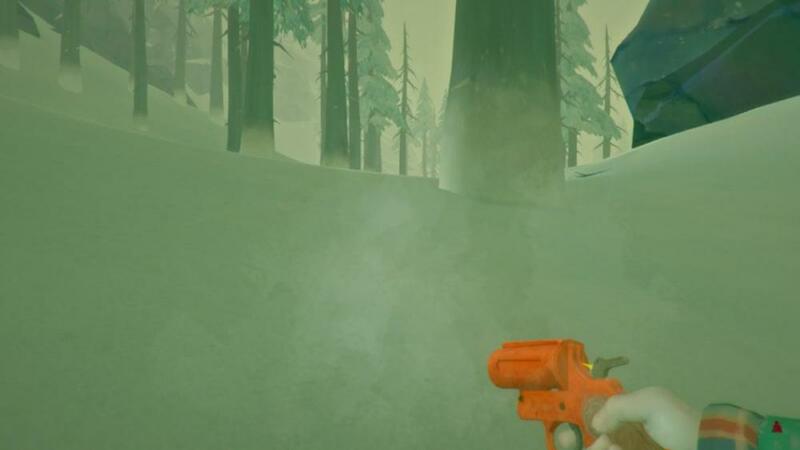 As I'm walking down towards ML ( scent and all, I'm baiting the wolves ) I see a buck coming up in my direction, I'll try and shoot him, I did this before in Interloper, once. If I miss, I'm not sinking any more flare shells in this endeavour. I get all his meat and manage to cook four hunks whilst I'm harvesting, my fatigue bar is down and I'm out of firewood so I make my way to the dam yard without getting hide or guts, time is of the essence. I'm ready to drop both bunny carcasses ( pelts still on ) to distract the wolves in front of the yard, but they are not here. I make my way in safely, dropping all the meat outside and pelts and guts inside. I have a full stomach and use the rest of the afternoon breaking down three big crates and fixing up my clothes a bit, they're still horrible, mind you. Spirits are high (Or is this deadman's deception? )as I depart towards the Camp Office next morning, I organize what should I take ( forgot to saw off some metal shelves... ) and set off to a felt -14C, I'll take down the six pieces of bait I made with rabbit and deer sliders and feed the wolves through the river, I need those cattails for my forging operation. I take only one deer steak from here to the camp office, no more than 1 scent bar for this dude. I manage to make my way down the river unfazed by any predators and collect a good amount of cattails on the way, I made a warming fire halfway through and that cost me seven pieces of reclaimed, dinging up my firewood supplies. Both teas warm me up as I make the camp office safely as a the weather is cooking up a blizzard for me. Here, I make some executive decisions, I tear down my toolbox, saw off a table lamp and harvest my can opener. I gather more cloth and prepare my last mushrooms, then it's off to bed. By morning weather is terrible and I spent my time reading up on cooking, getting my skill to rank 4. This gives me enough time to have bad ideas, so I take three birch, two cured guts and a maple sapling with me. I'm making my bow by the skeg as I do on Loper. There is no CF in deadman, I forget. As the weather progresses to a milder snowfall I set out to Forlorn Muskeg not before munching my last full steak to a small bite, by the time I reach the rails, two wolves are awaiting me, probably tracking me from far away. I wonder if carrying bait is more trouble than it's worth but it surely serves me well here. 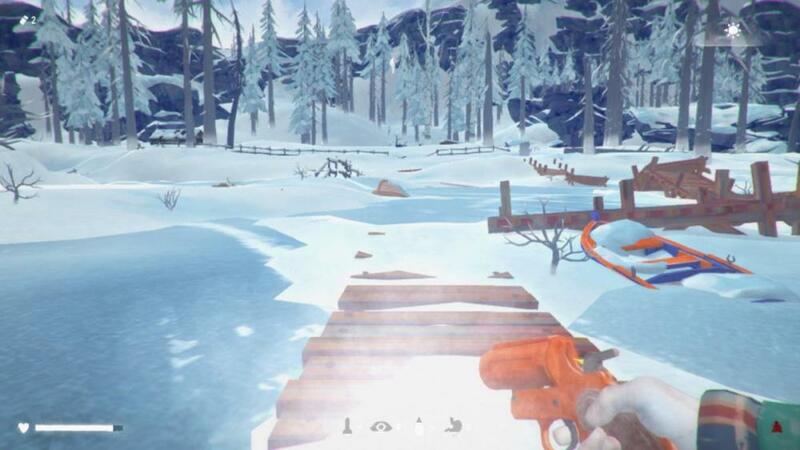 Two more wolves are tracking me near the tunnel, warmth bar is nearly down as I bait one and outrun the other, I make a warming fire inside the tunnel. Rest for 1 hour, cook up some water and drink my warm reishi, torch in hand and it's off to FM. Weather is better at FM, the wolf on the left bank is tracking me so I run the the right side towards the small pond, getting sticks and cattails on the process. The derailment is yet again patrolled so I choose to get the early path to the left, keeping a safe distance until I can see my reference rock on which I set foot towards the homestead, following the fallen trees as usual. I get a bucketload of cattails ( at least I thought so ) and make my way safely into the homestead, no wolves in sight. 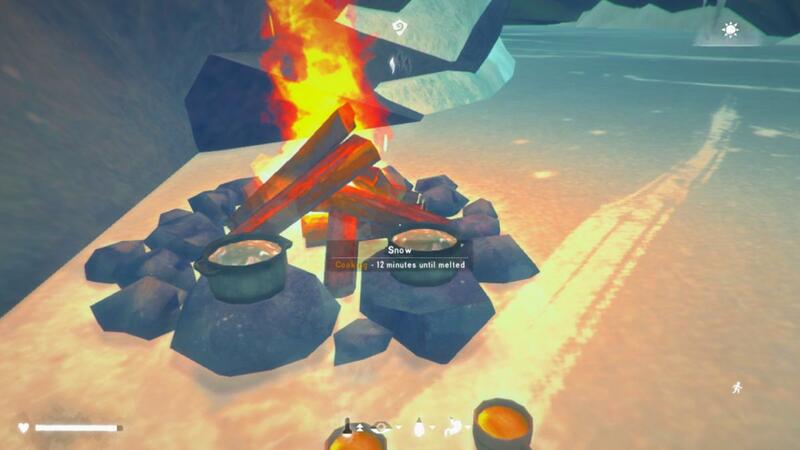 I skip looting the broken bunkhouses in front and beeline for the forge, I manage to light the fire in time to avoid damage. Fortune has favoured me so far, but regression to the mean is unevitable. 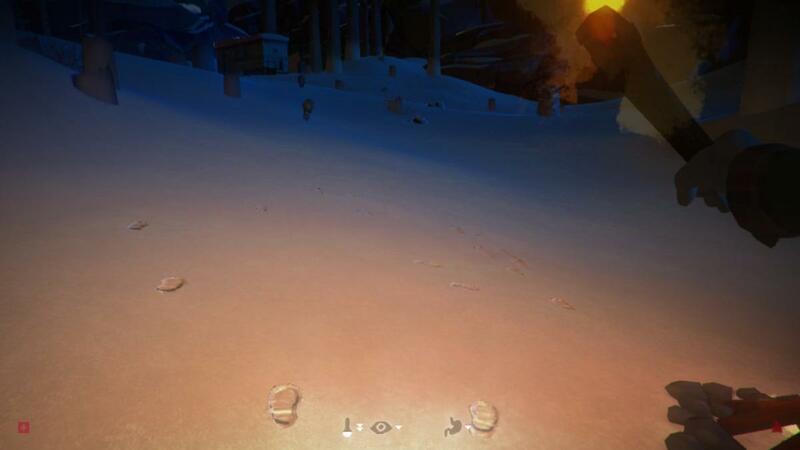 I manage to forge away a knife and 10 arrowheads. Fitting in resting breaks in between, from here I check my firewood supplies, not looking good. Weather is turning on me, so I can't go out. I'm stubborn in making my bow right here, I will live to regret this decision. I can't really leave with no visibility and the cold, I can sleep or craft the bow. I choose the latter and set on to work, again with resting breaks and all. I succeed and make my bow and one arrow ( I miss that blue toolbox by now... ) but my firewood supplies are scarce and I still haven't slept enough. My gloves wear out. Weather has cleared up a bit after the all morning blizzard but I'm too tired to travel, I realize I did not break down the crates and my job of transfering the fire was lousy at best, I'm not warming up. I transfer the fire to the forge and feed it the sticks and reclaimed I still have ( no coal left ), I sleep in small chunks and break the crates to acquire more firewood. 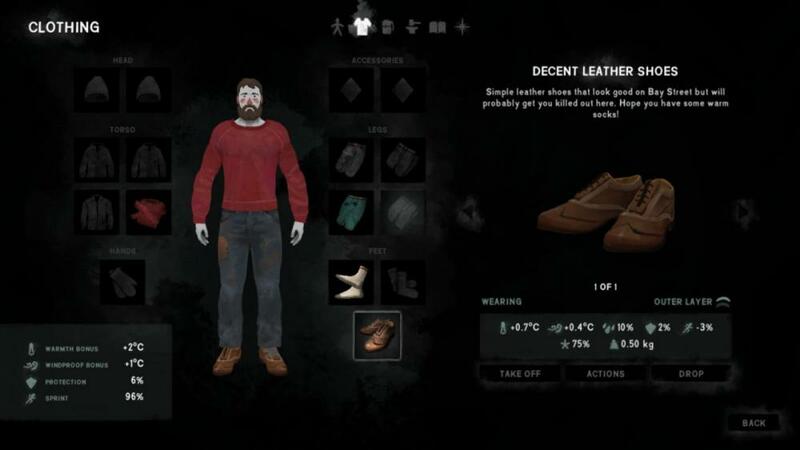 I finally loot the place, jeans, cloth, a simple parka and matches. By the time I'm finished breaking the crates, I can't go out far in the full cold of the night. 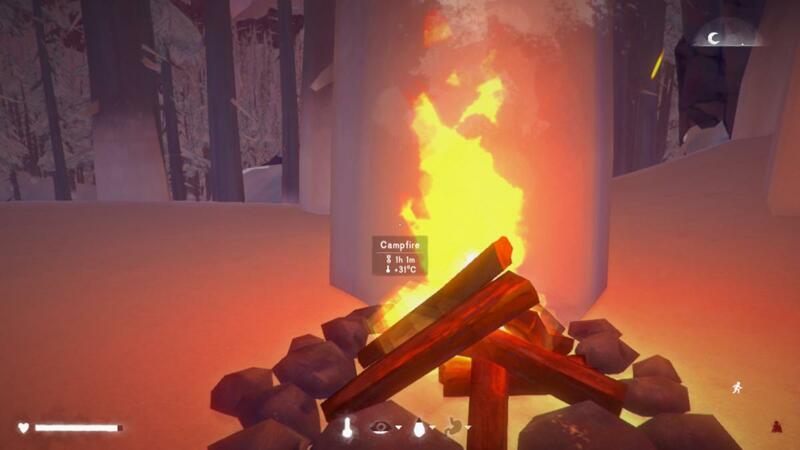 So I feed the fire some more and sleep for a few short hours, after the darkest of the night I move the fire once again to craft two more arrows and then sleep until I'm out of firewood, by that I mean, totally out. By noon, I set out towards the warm cave near the BR transition, perhaps I can keep myself warm back there and there's coal awaiting me. Bow in hand I'm dying to find those deer that roam back near the cave, even a wolf would feed me well. There is unfortunately no wildlife to greet me there, hostile or docile. I'm running out of food and have only two more cattails with me. I grab four mushrooms and sticks from around, but I'm going to starve tonight. 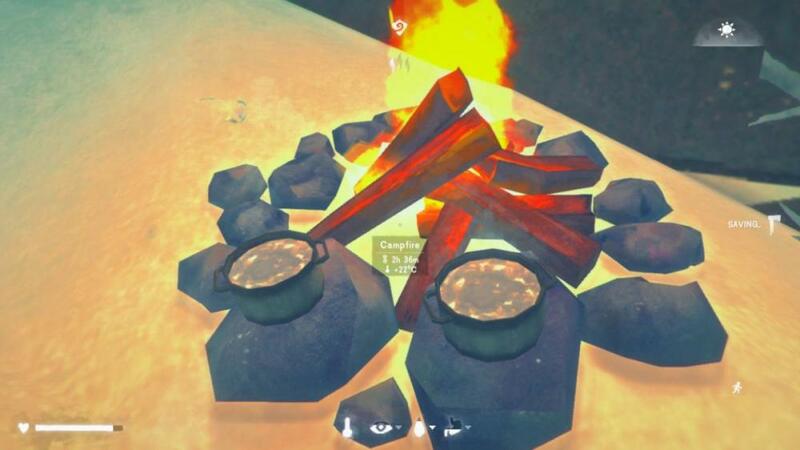 I sleep until the cave can't keep me warm enough and then I make a quick fire to boil water and cook my two teas, I drink them and sleep one more hour. I got greedy and waited too long to build the fire with coal in the cold half of the cave, with minutes left to put coal in I start freezing. Condition is now at 83% and ticking down from starvation. A full snowstorm is raging outside, I can't go out. There will be no food and I'm running out of firewood, this deadman here is falling apart. By the time the storm dies down, I'm at 74% condition. I finally venture outside, taking my bait steaks and making a hopeful left towards that deer grazing spot, it's not here again. I ran towards the farmstead, I gathered a bit of firewood and there's still cattails for the taking by the front of the homestead. 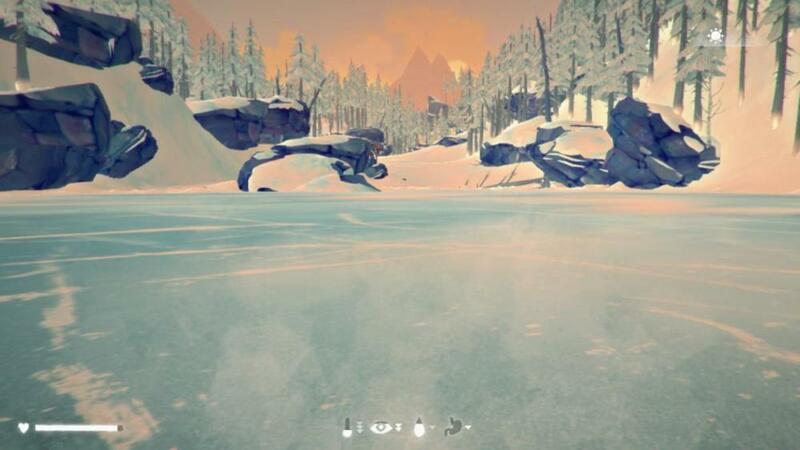 As I'm making my way down towards the homestead two wolves ambush me, I drop bait and two of them oblige to follow. 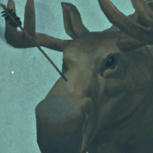 I can taste fresh steak as I aim the bow to take my shot but I'm immediately charged by a third wolf, it might just have been teleported from oblivion to kill me. A struggle ensues. I wonder if my mouse can take this, I pummel it as much my character pummels the wolf with the hammer, I "win" the struggle but the other wolves are still here, I bandage up, take my usnea dressing and I'm ready to fight more wolves. I put one of them down and stick arrows on the two others. Archery is now at 2, yay. I pluck a steak from the wolf, run back to the cave to warm up and check my status. Stabilized, far from good. I do not have any firewood, so I eat my wolf sushi fully expecting to get food poisoning. I don't. I make my way out of the cave, intending to get even more steaks from the nearest dead wolf, by the time I'm about to reach the carcass, a fourth wolf barks at me. I scramble between weapons, I've got no more arrows left! I quickly switch to the gun and shoot him, he runs away carrying the flare shell on his uh...hind. This is the only print I have, sorry. I take my medicine, I only need one more dose for the full 10 days. I stim up and sleep, I have no idea what should I do next, gameplay stops here. Things are looking grim for my deadman.